Just wondering if anyone has additional info / pictures of the High School Fleet / Haifuri event and ships beyond what was in the Update notes and vid? The WOWs community is often good at knowing such things in advance sometimes so thought I would ask lol. I find the Yamato and Moresushi camos to be extremely underwhelming. To be fair, they're show camos, and the show had boring camo. Well if it's true that the HSF camo grants 100% Free XP bonus that makes it extremely tempting for me and then any additional bonuses beyond that are icing on the cake. So I can just hurry up and get Yamato and then equip the camo with Flags and just grind the Musashi in about 750 battles or so lol. As stupid as the Cat Camo looks... ME-yow..lol. Hope the bonuses are good. 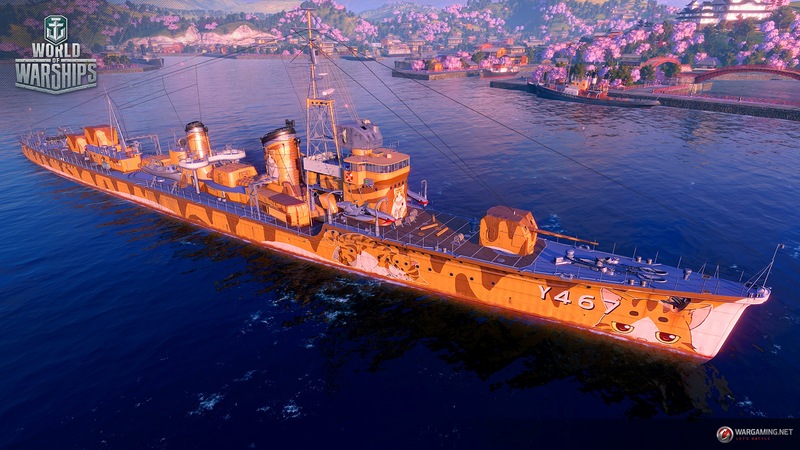 I can tell you that on the PST, the Yamato HSF camo had exactly the same stats on it as the Yamato premium camo which in and of itself is pretty impressive if you can earn a 5000 doubloon camo for free. What would be really nice is if the Musashi camo had the same stats. +20% bonus to credit income and -50% to servicing cost would go a hell of a long way toward addressing the reported decrease in credit earning the Musashi makes compared to the Missouri. The Graf Spee camo is very minimal but looks very good to me, the use of the right colors and stripe angles could've changed the camo from unimaginative to stylish. If that's the case...I will work towards/buy that camo in a heartbeat. 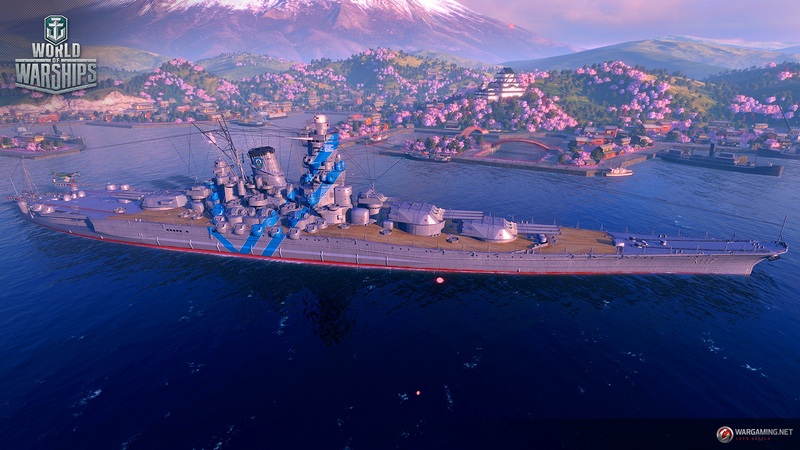 The funny thing is except for those red, blue stripes, it's more historical than the current Perma-camo for Yamato. The IJN were not all too keen about camouflage schemes and they liked grey for their ships. Some had other schemes, but they were a grey fleet. I wish my Yamato's perma-camo was "boring" Kure Grey. Plain grey makes me feel like I'm sailing a cheap plastic model. That's the way a lot of navies liked it, and today, that's all they do. 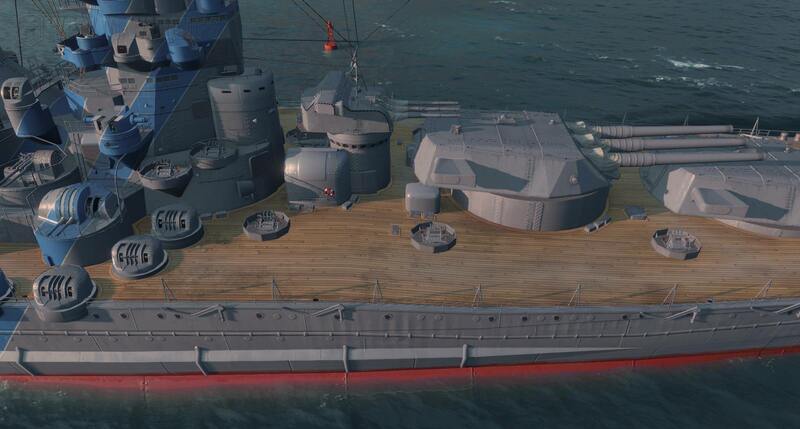 Something about the flat grey textures in WoWs look plasticky, irl I'm sure the Yamato would've looked great in grey, and having visited the USS Iowa among other ships grey looks fine. 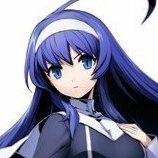 Random question to throw in here. Any word on how to get the collection to get the camos? Is it just a click to start or some missions involved?